Download faculty lectures, interviews, music, and sports. Play audio & video files on your iPod, smart phone, Mac or PC. 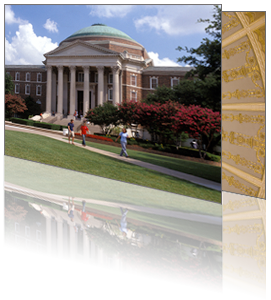 Experience SMU on iTunes U and continue learning with SMU. Begining Spring 2015, SMU on iTunes U will no longer be available for uploading of files. Starting with the 2015 Fall term files will no longer be available for download. The link below will direct you to the general landing page for iTunes U. By accessing this site you agree to abide by the Terms of Service and all web site policies.